The Fabulous Fox opens their 2017-2018 Broadway season with The Bodyguard. Before the orchestra could play their first note, the audience was issued a disheartening message. They warned us that in light of recent events, they wanted us to know there are several gunshots in this production. Something to keep in mind if this is would invoke anxiety for theatergoers. Based on the 1992 movie, The Bodyguard follows the broad strokes of the film while showcasing the legendary musical repertoire of iconic singer Whitney Houston. 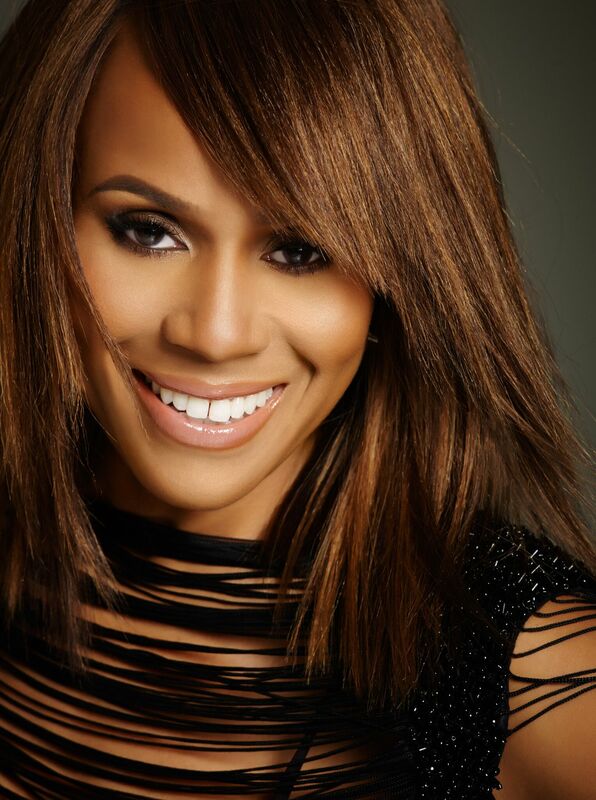 The story follows Rachel Marron (Deborah Cox), a superstar singer who, unbeknownst to her, has received death threats from an unknown assailant. Frank Farmer (Judson Mills) is a former secret service agent who reluctantly takes on Rachel’s case. Nicki (Jasmin Richardson) works with her sister Rachel in developing new songs. Rachel’s music producer, Sy, (Jonathan Hadley) pressures the singer to perform at a small club in order to promote her new music. Tensions rise between Rachel and Frank as he tries to control her every move while the singer refuses to change her ways. Rachel’s son, Fletcher (played by both Kevelin B. Jones III and Sebastian Maynard-Plamer on alternating nights), acts as an emotional bridge between Rachel and Frank. He bonds with Frank over a toy car which melts Rachel’s icy demeanor towards Frank. Rachel decides to perform at the small club against Frank wishes and ultimately pays the price as she comes face to face with her stalker. Rachel laments about not being able to go on a date (without Frank) so she asks him for a date. The two go to a bar—picked out by Frank—which turns out to be a karaoke bar. The two realize their feelings for one another and commence with their love affair. Frank’s employer tells him his feelings for Rachel are compromising his ability to provide effective security. Frank breaks it off with Rachel, who takes the news hard as her icy demeanor towards Frank resurfaces. During a trip for Rachel to perform at a benefit, Frank learns that the stalker made his way into Rachel’s house and Fletcher goes temporarily missing. Rachel blames herself for risking Fletcher’s safety and agrees to do whatever Frank says is necessary. What follows are drunken revelations, a shocking departure, a vicious attack, and, of course, a tearful goodbye. The production of The Bodyguard has some interesting developments, but far more disappointments. While Alexander Dinelaris’ book fleshed out the story of the original stalker and Nicki’s jealousy of Frank and Rachel’s relationship, it moved much too quickly, not giving the story time to breathe. If you walk into this show not having seen the original screenplay, Dinelaris’ broad strokes might make you lost and confused. There was a scene in the movie where Rachel and Frank are on their “date” slow dancing to a man singing “I Will Always Love You.” It was a sincere and pivotal moment in the movie which ignited their emotional and physical relationship. In this production, however, that touching scene was reduced to a karaoke bar where Frank performed the song mugging for laughs from the audience. It was a cheap scene which lost focus on the intensity of their relationship. This production also rushed through another iconic scene at the Oscars. When Frank gets shot, Rachel runs to his side and screams out “He’s my bodyguard!” Perhaps it was opening night jitters, but there was so much confusion going on the stage that the line got muffled and lost in the crowd. (And what was up with that “Safety Curtain”?) While there were several other major plot points rushed or eliminated, these two were the most glaring failures. Dinelaris must have had to make such dramatic cuts to the plot points to make room for Houston’s music catalog. Where the movie had Houston perform six songs, this production had a whopping 15 of Houston’s most legendary hits. Songs like “Greatest Love Of All,” “I Wanna Dance With Somebody,” and “So Emotional” are wonderful in their own right but did not fit into this show at all. Despite the flaws in the script, both the cast and crew of this production all turned in respectable performances. Visually, both the choreography and the proper use of video screens gave the show a fresh feel. Choreographer, Karen Bruce did a wonderful job in giving each of Houston’s dance numbers the necessary energy and innovative movements. Deborah Cox, as Rachel, turned in a befitting performance. Cox, a Grammy award-winning singer and gay icon in her own respect, seemed to be shaking off a cold in the beginning of the first act but warmed up as the show progressed. Her performances of “One Moment in Time” and “I Have Nothing” were outstanding, but it was her emotional performance of “I Will Always Love You” which brought the house down. What was even more impressive was her convincing role as Rachel Marron. Her spoken lines were undeniably authentic. As said before, Cox being a Grammy award-winning singer, I am sure she has had her own experiences with overeager fans and the overreaching demands of the music business to draw upon. Judson Mills’ stoic performance of Frank was highly credible, sans his karaoke performance. His physical and emotional chemistry with Cox was intriguing to watch develop. Jasmin Richardson, as Nicki, nearly stole Cox’s thunder by turning in equally impressive vocals. More than once, Richardson’s vocals were so outstanding that it came as no surprise to find out she is an understudy for Rachel. The breakout star of the night was Kevelin B. Jones III as Rachel’s son, Fletcher. This young actor did an amazing job keeping up with his adult contemporaries. Keep an eye on that actor—he is sure to be a star. 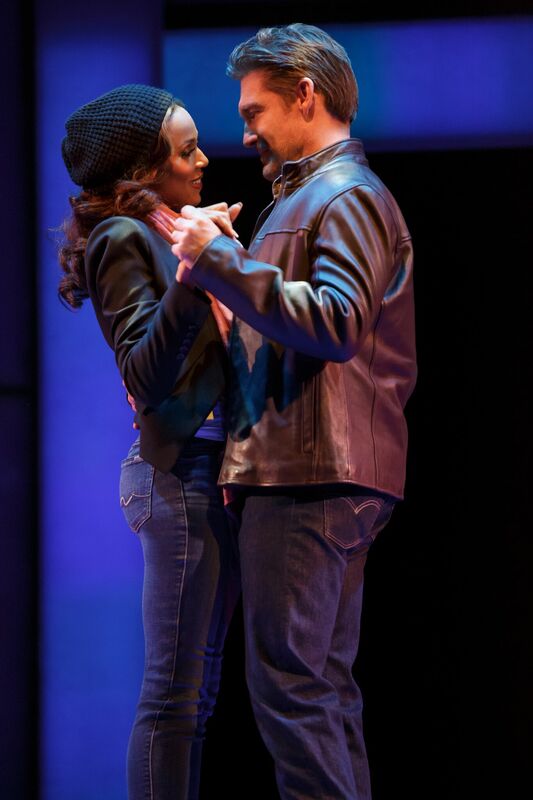 The Bodyguard plays The Fabulous Fox through October 15th. For show times and ticket prices please visit www.fabulousfox.com. You can follow me on Twitter @TheJimRyan.